Beginning in September 1904, the journalist and poet Eustaquio Pellicer (1859-1937) wrote, edited, and published the satirical weekly P.B.T. out of Buenos Aires. 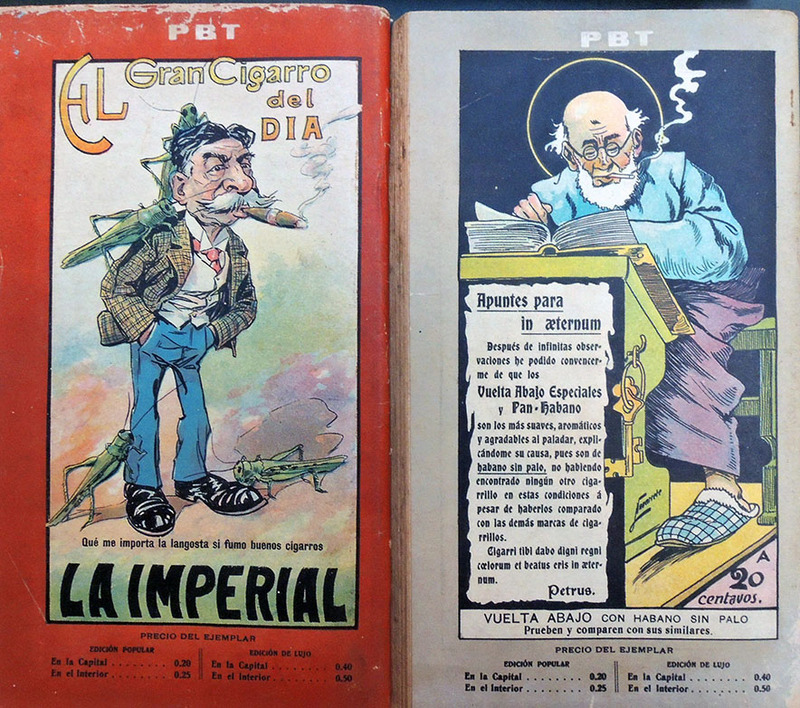 Subtitled “para niños de 6 a 80 años” [for children ages 6 to 80] the magazine lasted thirteen years–693 issues–and together with the Program in Latin American Studies (PLAS), the Graphic Arts Collection has acquired a rare, nearly complete run. The publication was a resounding success, beginning with a print run of 5,000 and explanding to 45,000 copies. It remained true to its motto, focusing on children and adults with varied content featuring photographs and illustrations of weekly current events, stories, poems and reports, jokes, and informative advertisements. 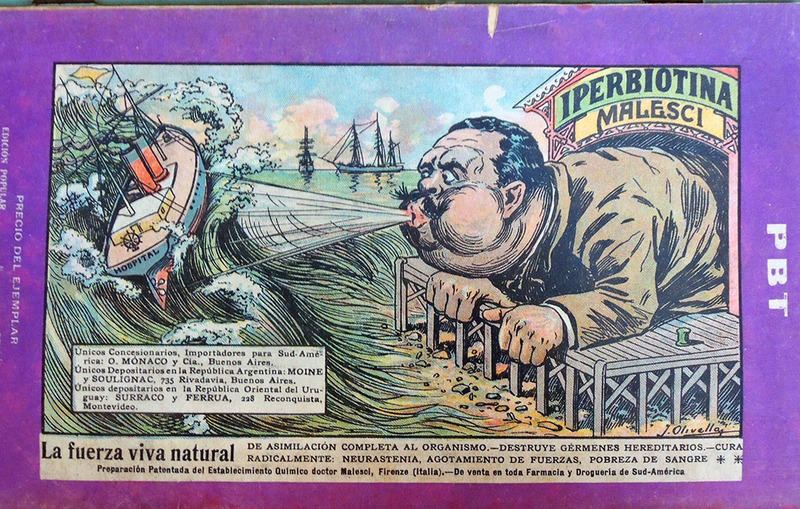 Political satire and caricature also held a prominent place in its pages. 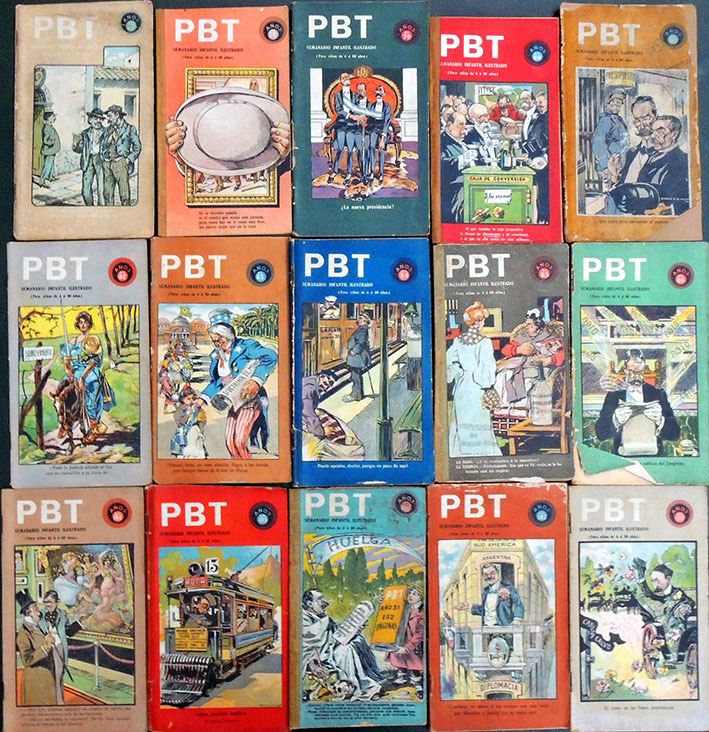 P.B.T. was produced by some of the most renowned graphic artists and caricaturists of the time, since a primary focus was precisely the publication’s visual aspects and political caricature. Among them were Mayol, Cao, Zavattaro and Fortuny. 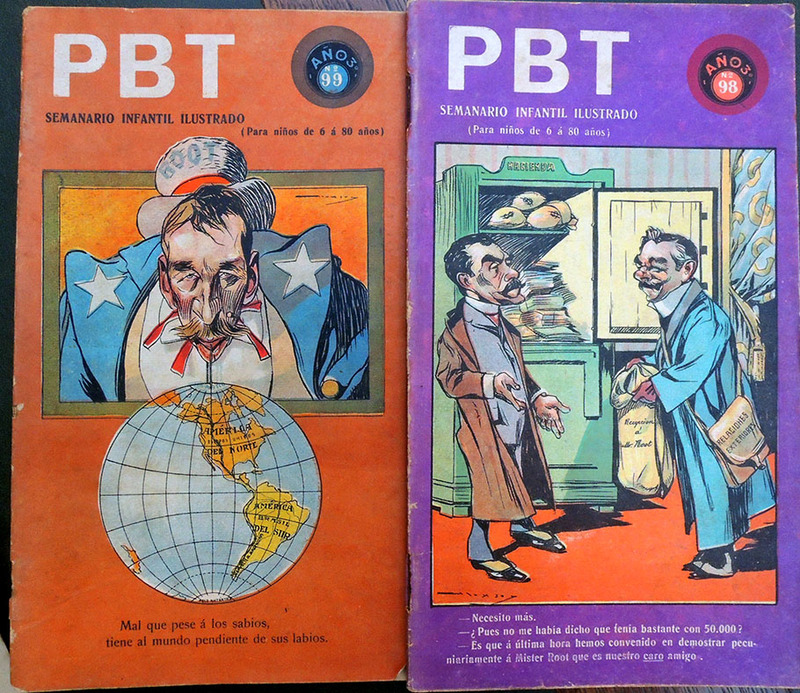 This weekly publication, which enjoyed great popularity, contains a wealth of information for the study of Argentine society from the early 20th century to World War I. Pellicer retired in 1910, maintaining fluid contact with his publication. Eustaquio Pellicer (1859-1937) was a Spanish journalist, poet, and humorist based in the cities of Rio de Janeiro first and Buenos Aires later. He studied high school in his hometown and in 1886 he traveled to the Río de la Plata where he worked in publications such as La unión Gallega de Montevideo and El Ferrocarril. 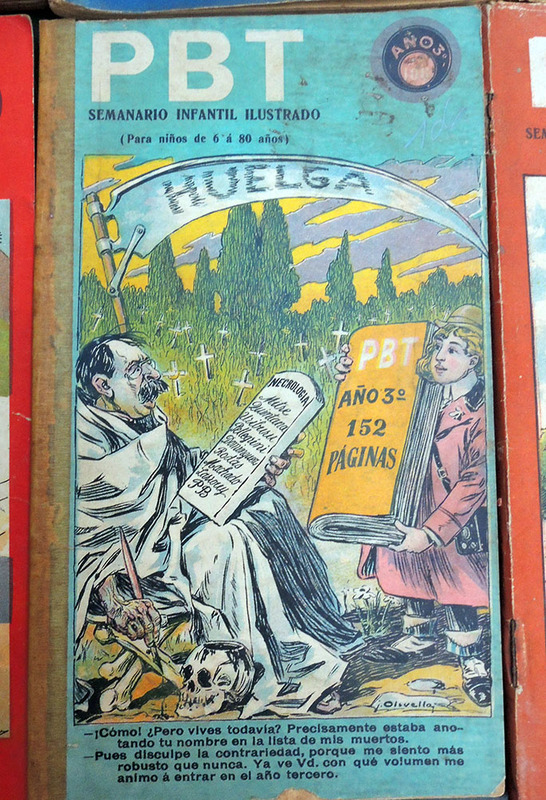 In the Uruguayan city of Montevideo he founded a humorous weekly called La Pellicerina and later, in 1890 he founded the magazine Caras y Caretas . Years later he settled in Buenos Aires and at the request of Bartolomé Mitre Vedia founded in that city the Argentine version of the magazine, which gained great popularity. Eustaquio Pellicer (1859-1937 ), P.B.T. 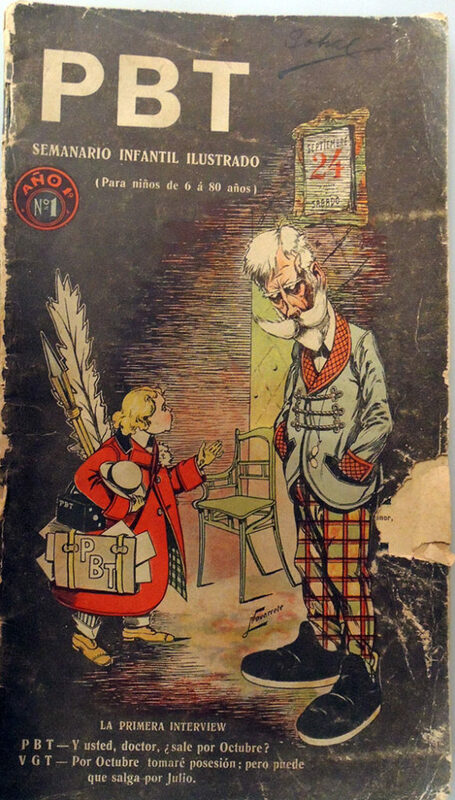 ; semanario infantil ilustrado (para niños de 6 a 80 años) (Buenos Aires, 1904-1917). 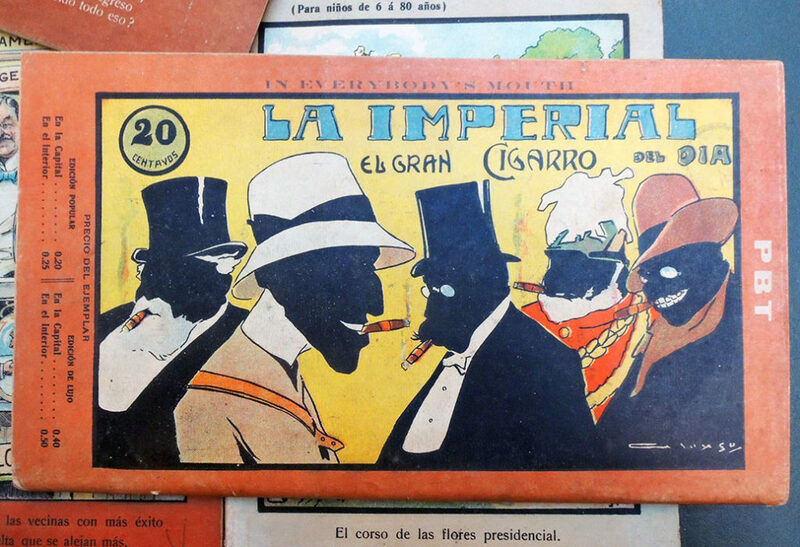 This collection was purchased in part with funds provided by the Program in Latin American Studies (PLAS) and in part the Graphic Arts Collection. GAX 2018- in process. This entry was posted in Acquisitions, Illustrated books on December 5, 2018 by Julie Mellby.